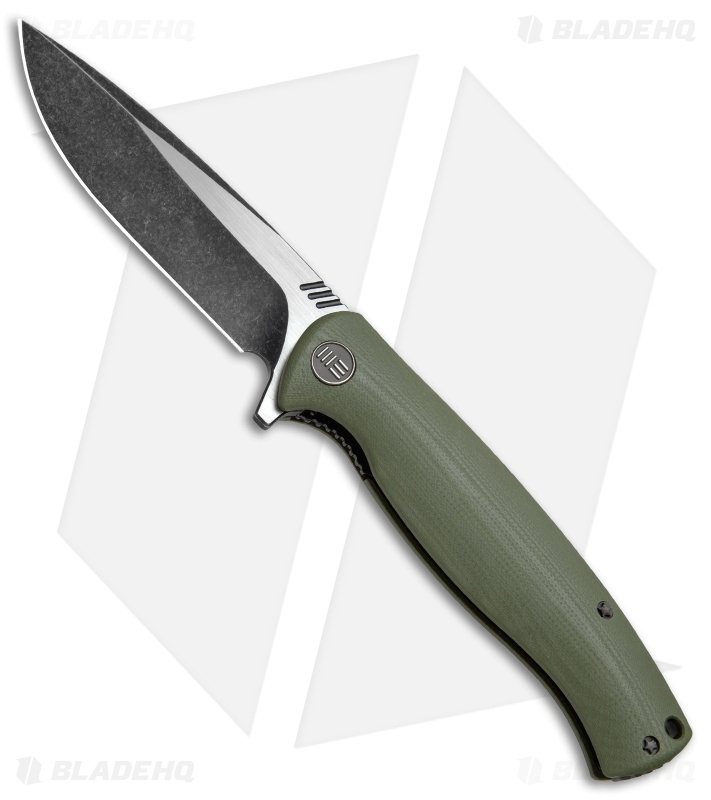 This 703 flipper has a green G-10 handle and a two-tone finished blade made from D2 steel. We Knife Co. has hit it out of the park again with a G-10 folding utility knife that is both tough and handsome. A large D2 steel blade provides solid cutting performance with a hollow grind and a plain edge. This model has a two-tone finish with satin flats and black stonewashed grinds. The G-10 handle offers sleek lines and a comfortable grip. Bronzed hardware and a stainless steel backspacer finish off the design. Contoured G-10 handle scales offer a comfortable grip you can depend on during tough jobs. D2 tool steel provides a strong utility blade for managing a variety of cutting tasks. Ceramic ball bearing pivot offers rapidly smooth blade deployment. Stainless steel liner lock for reliable blade lock up. Somehow, my previous review did not post. It was very in-depth and I pointed to a lot of competition and things about the knife. Bottom line, though, this is worth every penny and you should definitely give it a shot if you're thinking about it. Sorry that your review did not get posted. 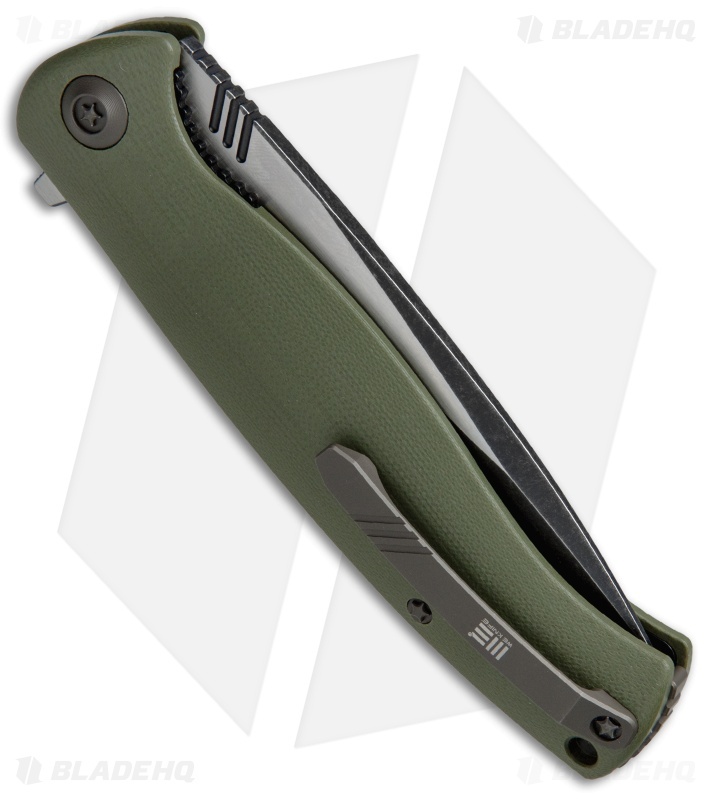 This is the only We Knife review that is connected to your account so it may not have been saved. Let us know if you have any further questions or concerns.